A new website design with a revised de-saturated colour palette and the latest in responsive design technology along with a digital communications programme to get across the Maiden Insurance Partnership values and its range of services. 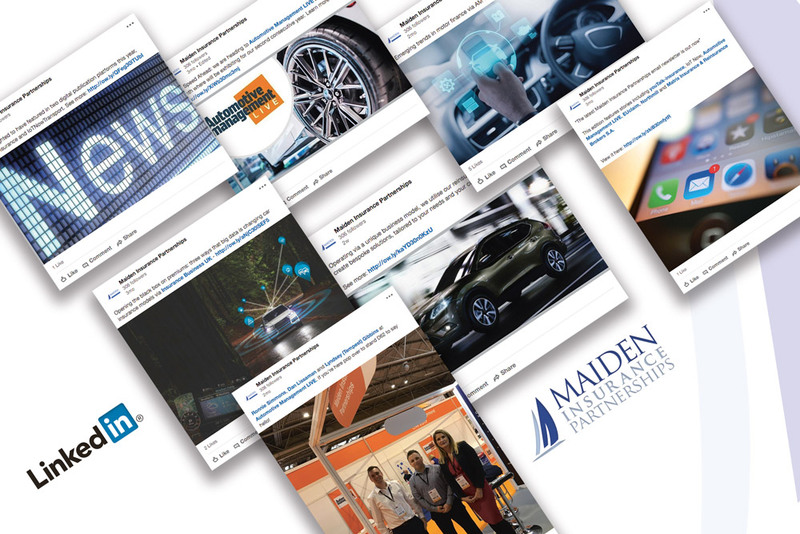 Maiden needed a means of communicating regularly with its target audience, automotive manufacturers and third party organisations who provide tailored insurance programmes for car drivers. In a market that only changes providers every few years it was important for Maiden to be visible, to be considered as a serious contender when these decisions are being made. It was imperative that we hit the right balance with the look and feel of both the website and the digital communications. Having never used digital marketing before Maiden were understandably apprehensive. We designed a website that was fresh and vibrant and in keeping with its reputation for innovation, transparency and simplicity. We set up a branded LinkedIn account and publish regular posts which attract high levels of engagement. Its quarterly newsletters promote their website content to its target audience with excellent open rates and click throughs from many of its key prospects.